The iPad application Take One – Movie Clapper is a great solution for anyone into film or making movies that wants a cheap and simple way to keep track takes, which assists in keeping filmed video and audio in synchronization. The major difference between Take One and its competitors is price and ease of use. Take One costs $2.99, compared to its $9.99 and $24.99 competitors – but offers an easy-to-use solution and all the necessary features one would expect from a Movie Clapper. 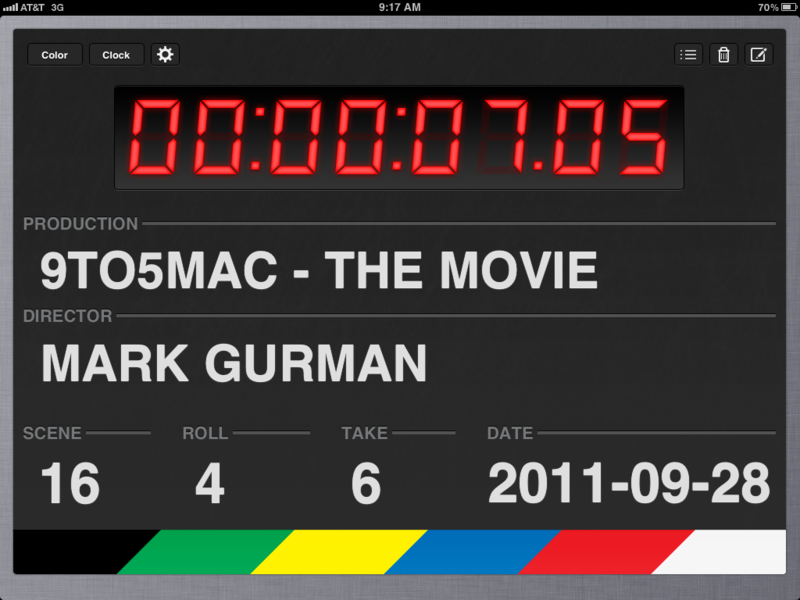 The app’s creator, Steven Troughton-Smith, made Take One as easy to use as a conventional Movie Clapper that one would normally use with a marker. Except it’s more convenient because you have right on your iPad. When you start the app up, you simply put in the movie name, the director name, scene, roll, and take info, and you are ready to shoot. The date will automatically input itself, and so will the timer. When you are ready to film, just tap the colored clapper piece and either a clapping noise and a beep will play out of your iPad’s speaker. The sound is a user preference. Take One is also convenient because users can create as many clapping boards as they would like, and swipe through them. 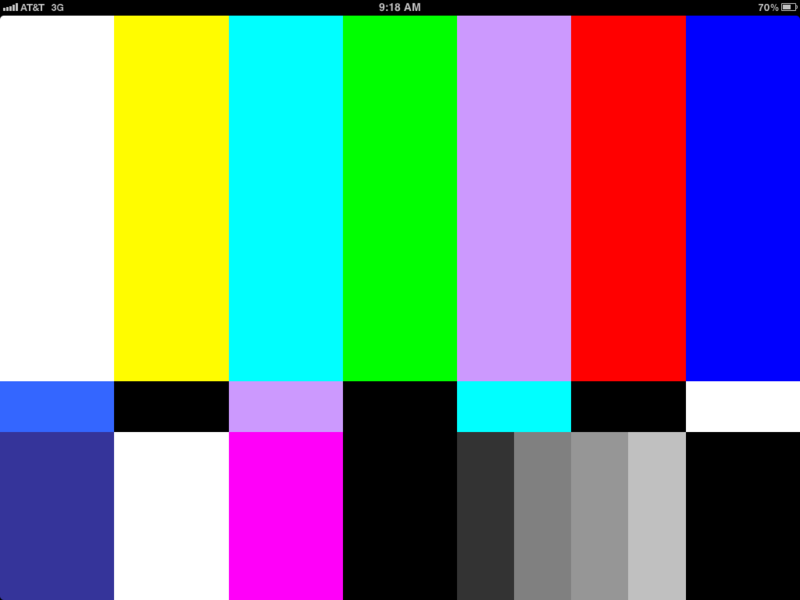 The iPad application also includes a color check board for easy camera color balancing. The bigger picture here is how much the iPad is blending into our daily lives. Whether that be for fun, entertainment, games, or work – the tablet is making an impact in many realms of the world. Take One for iPad is available on the App Store for $2.99, and be sure to check out more screenshots after the break.